Thank you so much for inviting me onto the blog to discuss the inspiration behind The Island Escape. In this novel, I wanted to capture the ebb and flow of friendships as circumstances change, as well as the restlessness I noticed among my peers when the youngest children started full-time school. Suddenly, it seemed as though everyone was taking a moment to consider, ‘Is this what I intended to do with my life?’ Some women changed jobs or went back to work, some had another baby and a few got divorced. And divorce appeared to be the factor that affected friendships the most. Initially, the women splitting up from their husbands had a lot of support and sympathy. However, later on, when the initial trauma had receded and the newly single woman was dating again and glowing with the flush of new love, a bit of envy crept in among long-married mums. There was a sense that some were taking stock of their husbands and thinking, ‘Um, no, I won’t still need or feed you when you’re sixty-four.’ Equally, the divorcees who no longer slotted neatly into a couple often felt left out from social occasions. Whichever side of the fence people were on, good old Facebook – peddling the perfect lives myth – was guaranteed to enhance any marital/financial/family dissatisfaction. And if anyone really wanted to know what happened to that ex-boyfriend, that bit of unfinished business, well, the chances are he was just one little FB message away. I’ve thought a lot recently about my first book deal moment because I’ve been revising and updating that novel – The Island Hideaway – for publication later this year and all the emotions of the time have been stirred up in the most lovely, nostalgic way. It was 2002 and times were more innocent – not in terms of world events, admittedly, but in the publishing industry, where the digital revolution hadn’t yet struck and the word kindle was still a verb. It was traditional for editors to fax book offers and all agents had their trusty fax machines for just such golden moments. But there had been no faxes for me yet. My agent, Claire, had submitted my manuscript to several publishers and several had rejected it. As a person easily tipped into pessimism I was already rehearsing the act of putting the book in the bottom drawer, never to speak of it again (there were no excellent self-publishing tools, then). I decided I would write a second, since I had an idea I was excited about, and then, if that was rejected too, I’d go and do something else. Or stay doing what I was already doing. When I'm asked where the inspiration for a book comes from, the truth is, I don't know! I don't go out looking for a story, and I don't make any sort of concrete plans: I have no detailed notes, no skeleton, no synopsis of each chapter, no family trees. It just sort of arrives, which sounds terribly fortuitous, like a cheque landing on the doormat, but it's much vaguer than that; like little torn bits of the cheque arriving, which have to be stuck together. I'm tempted to call it osmosis. Of course the crazy lady above is me, and I had well and truly hit my rock-soggy bottom. I’d been living in London for a year. I’d move back from France to be with my boyfriend, who’d dumped me a few weeks after I’d arrived. Heartbroken and stuck in a city I didn’t want to be in, I decided that I wasn’t allowed to move back to France and I wasn’t allowed to look at another man until I completed my unfinished novel. Finally I got the incentive right. I wrote every spare minute I could find. I wrote into the night, at the gym, on the tube, through the tears when I found out my ex had fallen in love. I wrote like my life depended on it, because I had been in this position before. Not only of moving to another country because of love (I know!) but because I had already had three novels rejected. In ten years this was the closest I’d been and it had started two years earlier. Okay, so it’s more of a writing corner than an actual room. I was quite happy with my little corner, until I saw Lucy Diamond’s AMAZING writing room on Novelicious the other week, and now I have serious writer-room envy. But the corner has served me well. We have an L-shaped sofa in the living room, but my boyfriend regularly complains that we can’t actually sit on the nice, wide, snuggly part of the sofa because it’s covered in my crap, if you’ll pardon my French. And he has a point. I sort of bed-in there, and over the course of the day it becomes littered with books, old magazines, bits of paper, receipts that I really should put somewhere safe for tax purposes, and empty chocolate bar wrappers. The closer to deadline day, the more empty chocolate bar wrappers. It was summer 2006 and I was Deputy Editor at heat magazine. Those were the halcyon days of celebrity journalism and heat was the riding the crest, but I remember as the months and then years went by, I started to crave something more. My idea for the Churchminster series was born out of a conversation with my agent. I had approached her with a couple of half-baked ideas, none of which were really working. So when she told me bonkbusters were back in fashion and how did I feel about trying my hand at one of those, I jumped at the idea. I had grown up on Jilly Cooper and came from a little village in rural Bedfordshire. As if the idea had always been there simmering in my self-conscious, I wrote the plot for Country Pursuits in a night and started from there. For six months I worked at heat during the day and wrote every evening and weekends. My friends complained they never saw me, but I couldn’t get the words down fast enough. I thought it was good, my agent thought it was good and I thought everyone else would agree. When we finally sent it off to ten different publishing houses, I sat back and waited for the offers to come rolling in. The first rejection was the most crushing. Not for me I’m afraid. The book I had sweated blood and tears over and poured my heart and soul into, dismissed in a sentence by email. Others were more encouraging; they already had similar authors, it wasn’t quite their bag but keep trying etc. One editor never got back to us. Every other Tuesday we will be compiling a list of competitions, courses and opportunities on offer for wannabe writers and those of you who might want to work in publishing. If you have a competition, course or opportunity you would like us to shout about send info to cesca@novelicious.com. If you can't see your comp here we might be saving it for a later date. Flavorwire is thrilled to announce its first-ever short fiction contest. In honour of May’s National Short Story Month, they’re offering a prize of $500 for one outstanding short story. Every other Tuesday we will be compiling a list of competitions, courses and opportunities on offer for wannabe writers and those of you who might want to work in publishing. 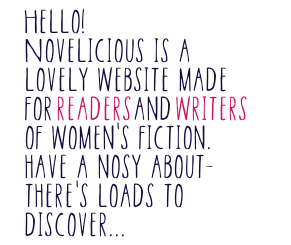 If you have a competition, course or opportunity you would like us to shout about send info to: cesca@novelicious.com. If you can't see your comp here we might be saving it for a later date. The first is a personal favourite of ours – it is the Bristol Short Story Prize, which is an annual competition. For short stories up to 4,000 words long and with cash prizes not to be sniffed at, this is one that serious writers should consider. The closing date for entries is 30th April 2013. More info can be found here. I love everything about dialogue. I love reading it, I love writing it, and I flat-out adore hearing beautifully-scripted dialogue in films and television. When I’m writing first draft material, I fill pages and pages with nothing but dialogue (which reads like some floating heads jabbering away because I’ve forgotten to put in any physical details or action). I know plenty of writers who don’t feel this way, though, and it doesn’t matter one whit. We all have our strengths and weaknesses: It’s knowing your own weaknesses and being willing to work on them that will lift your work to the next level. Truly, the best advice for writing dialogue is the same as for writing anything else; you just do it. Make yourself write lots and lots of the stuff, even if the results are awkward and unusable; practice, practice, practice. The other thing to remember is that you’re not trying to mirror the way people talk in real life. If you write dialogue the way people really talk, you’ll end up with unreadable nonsense full of filler words (such as ‘um’ and ‘er’), repetition and boring chitchat. You should aim, instead, for the illusion of reality. I first heard about using collage as part of the novel-writing process from one of my favourite writers, Jennifer Crusie. The idea, very like the one behind making a soundtrack for your book, is to access your subconscious (where the stories live) in a different way to writing. As soon as you start to think about a new project, look out for images, patterns and even objects that belong in the world you're creating. To start with, you can just collect things so that when you're ready to begin your collage, you've got some material. Looking at images and choosing ones that feel like your book, or things that directly represent elements and characters, can be a surprising exercise. I'm amazed when images I've chosen without knowing why, end up as vital later in the book, and when the story begins to coalesce through the act of cutting out images and sticking them down. **NOVEL COMPETITION KLAXON! The Lucy Cavendish Prize (Judge: Allison Pearson) is closing on 27th March. This one is for unpublished novels written by women. "To enter the competition, participants will need to submit the first 30 pages of an unpublished novel and a synopsis of the remainder of the novel (max. 10 pages long), plus the £10 entry fee. A shortlist of five will receive an invitation to the prize-giving dinner (attended by publishers, agents and authors), where the winner will be announced and receive a cheque for £1000." **The Exeter Short Story Prize has some fabulous prizes and closes at the end of the month. **West Sussex Writers have launched a national short story competition. You can write on any theme and the prizes are goodies. Creating characters is probably my favourite part of writing (apart from finishing and drinking celebratory wine, that is), but the best ones seem to just show up and start talking. To be quite honest, I don't like to think too hard about how they're created, which leaves me in a bit of a bind when they don't obligingly spring fully formed from my subconscious. Luckily, there are a few methods that work really well for creating new characters (or developing existing ones). The one that works best for me is to open a blank document, separate to my WIP (work in progress) and to just free-write everything I know about the character. Just the act of typing while focusing on the character often releases all kinds of details I didn't realise before. If this doesn't work, then you could try writing a conversation between your character and another person from the story. There's no pressure to write well or to construct something useful for the book as it's not going to be used (although you may end up with the seeds of a new 'real' scene). Alternatively, you can 'interview' your character by asking basic questions (in writing) and just 'listen' to their answers, or drop them into a random dramatic situation (being fired from a job, splitting up with a partner, doing a skydive) and see how they react. I realise this all sounds a bit mad, but it can be surprisingly productive. Write Your Novel - Do You Have to Outline? You're starting a novel... Do you have to write an outline first? No! As with everything in creative writing, there are absolutely no set-in-stone rules. You take what works for you and leave the rest. So, outlining. Writers are often described as falling into two broad types; those who plot their novel first before beginning to write ('plotters') and 'pantsers' (those who 'write by the seat of their pants'). So, a pantser may have a character or two in mind and, perhaps, a setting, but will dive into their first draft with only the vaguest idea of story, while a plotter will map the entire thing out, complete with sub-plots, scene summaries and character sheets. Of course, these are the two extremes; there are plenty of people who fall somewhere in between, or even people who use the different techniques interchangably throughout their writing process. The important thing to know is this; either (or both!) is completely fine. Whatever it takes to get the words written. As a die-hard pantser who has been through the process several times, I can honestly say that I do outline. I just do it after I've written my messy first draft. That's the point at which I stand back, work out what the story is and structure it. Yes, it involves a complete and painful rewrite (sometimes more than one), but it's the way my brain works so I don't fight it.